Just good placement of ads and SEO optomization is not enough to increase your adsense revenue. You must also have good and high paying advertisements offered in your website or blog. To have high paying ads you must have high paying keywords. First you must remove the low paying adsense ads. 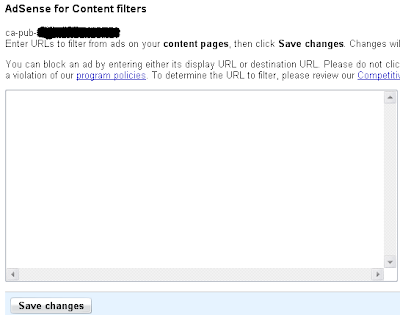 To remove the low paying adsense ads from your account,follow the steps below. 1.First go to www.adsblacklist.com . 2.Then Signup and login to your account. 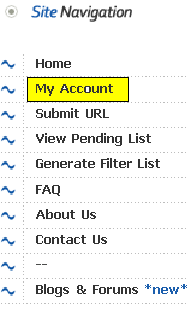 4.Now Click on My Account(see in the image below). 4.Submit your URL,TITLE and Keywords.Look at the example below. 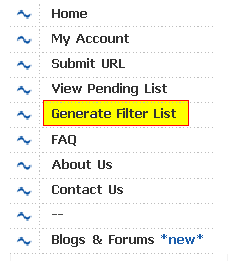 5.Now go to Generate Filter List. 6.Drag and drop your domain name into 'Keywords from selected domains:' box.Then you can see keywords,you give in step 4. 7.Now select 'MFA' and 'LCPC'. 9.They will give you lowpaying ads urls.copy these urls. 10.Now login to your Google Adsense Account. 12.Go to Competitive Ad Filter category. 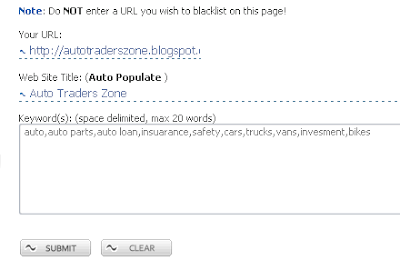 13.Paste lowpaying ads urls into the box and click save changes. 14.Now google will not display low paying ads in your site.